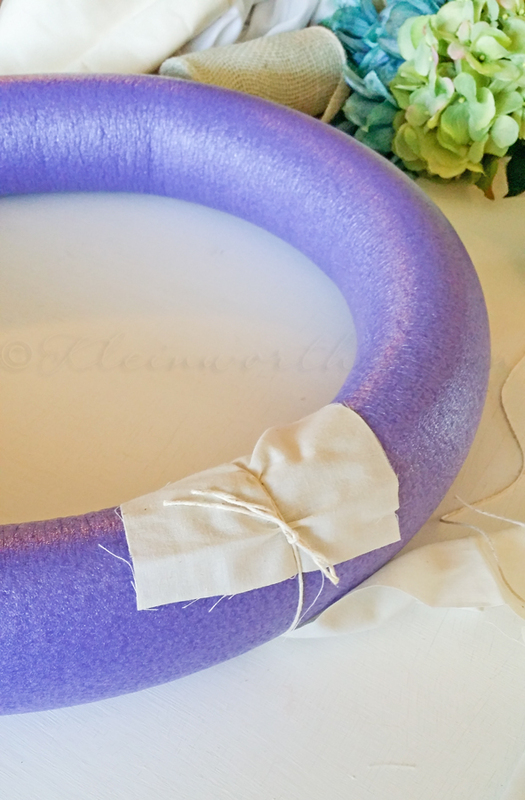 How do you make a wreath without a glue gun? It couldn’t be any easier! 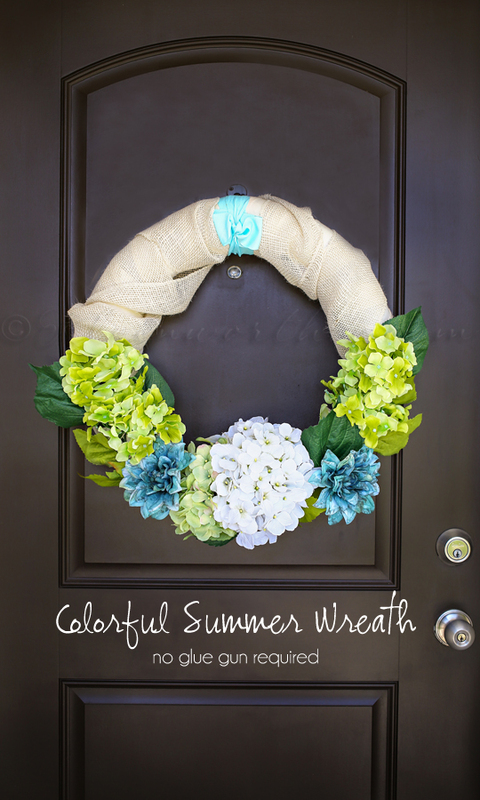 I created this simple Colorful Summer Wreath in less than 1 hour. 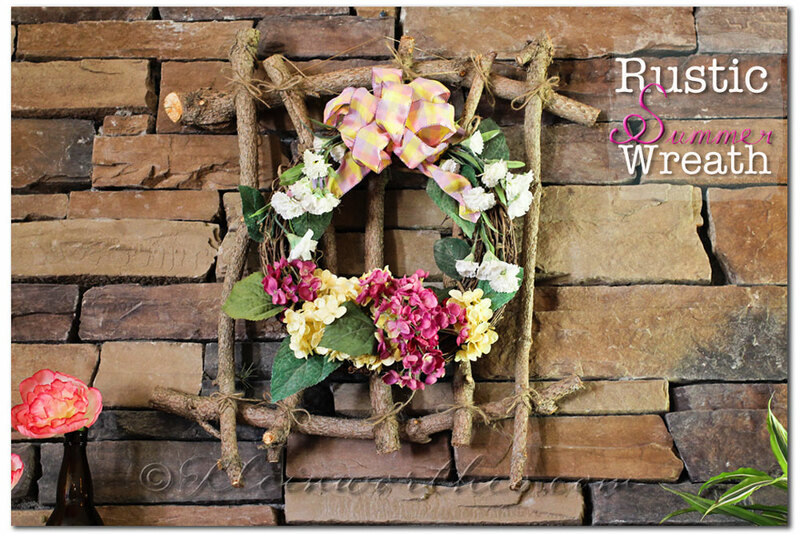 Making wreaths is such a fun summer craft. It’s one of my things I try to change out each & every month. 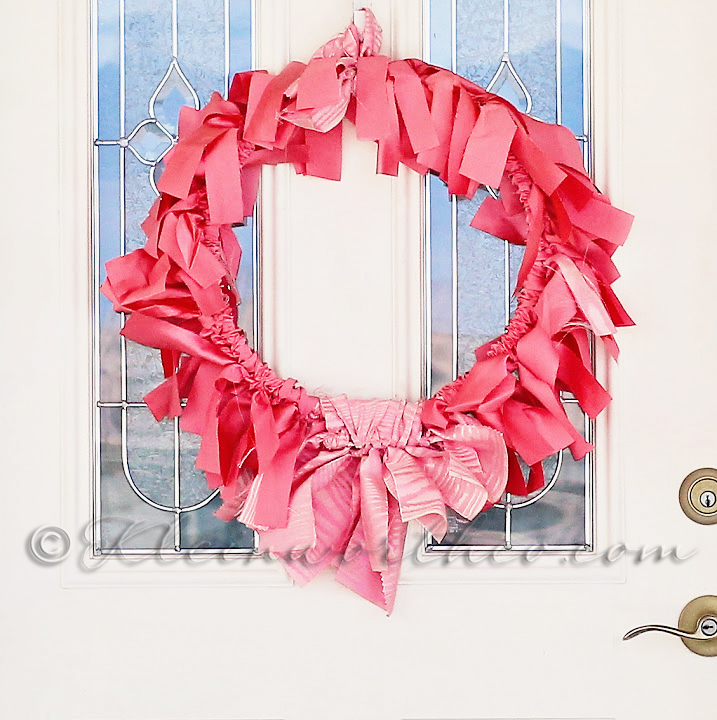 I may not revamp my mantle each season – but my front porch & door- they are decked out. 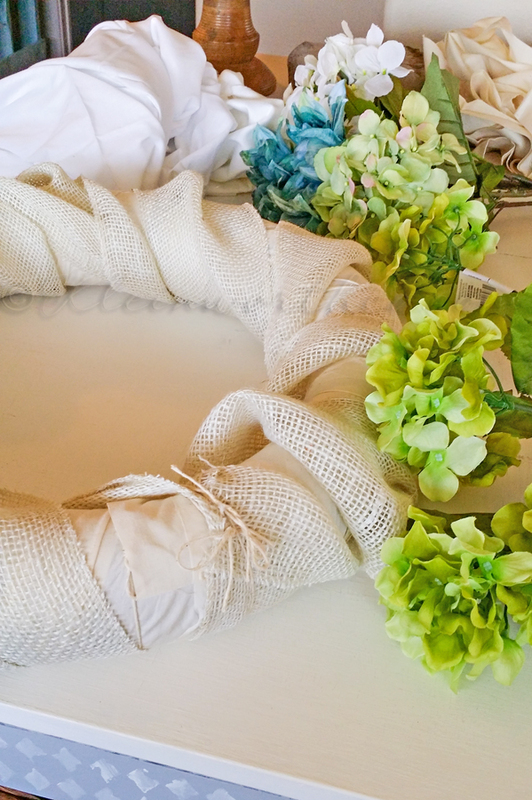 So today I’m sharing the wreath & then there will be more to come soon. So here’s what I started out with. Pool noodle (the thicker ones) taped together at the ends with duck tape to hold it’s circular shape. 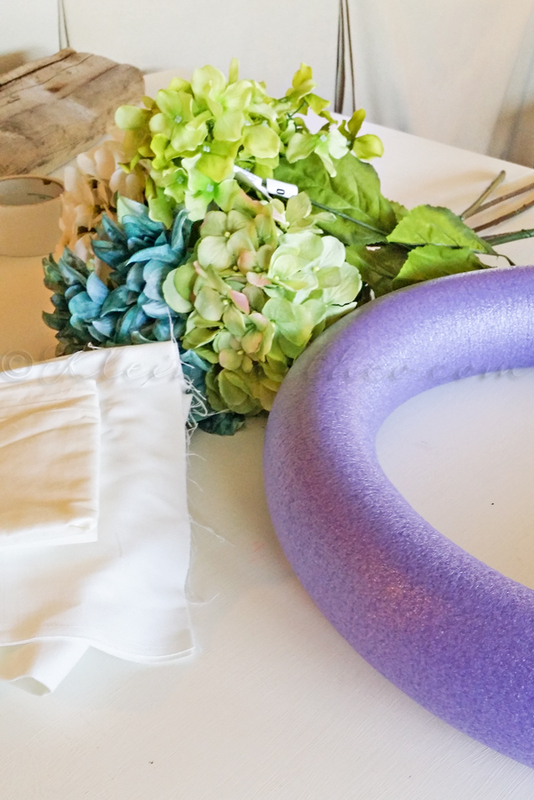 So here’s the deal – I really wanted to knock out this wreath project one afternoon. I had dropped my son off at work & then I ran a couple errands. When I got home I was expecting him to call me at any time to say he was ready to be picked up. So being that the hubs is a fire chief – I’m pretty cautious about fire safety. The idea of having my hot glue gun at full temp & then having to unplug & run out the door to pick up my son was really freaking me out. I couldn’t leave the house with the glue gun even remotely warm. I just can’t do it. (I won’t leave the house if the stove, curling iron or blow dryer is still warm either) But I really wanted this project out of the way. So I resorted to another method. I started with taking my cream fabric & cutting it into strips. I then secured the end to the noodle form with twine. then I secured the end with another piece of string. Then I did the same thing with the burlap – only I left it loose so it had more width to it. To finish it off I tucked each stem of the flowers in parts of the fabric overlap- then added more string to secure them tightly on the form. I just kept tying them on until I achieved the look I was after. I also added a little turquoise ribbon at the top for a pop of color up there. Simple & easy & I was able to finish it up just as my son called for his ride. Worked out perfectly. 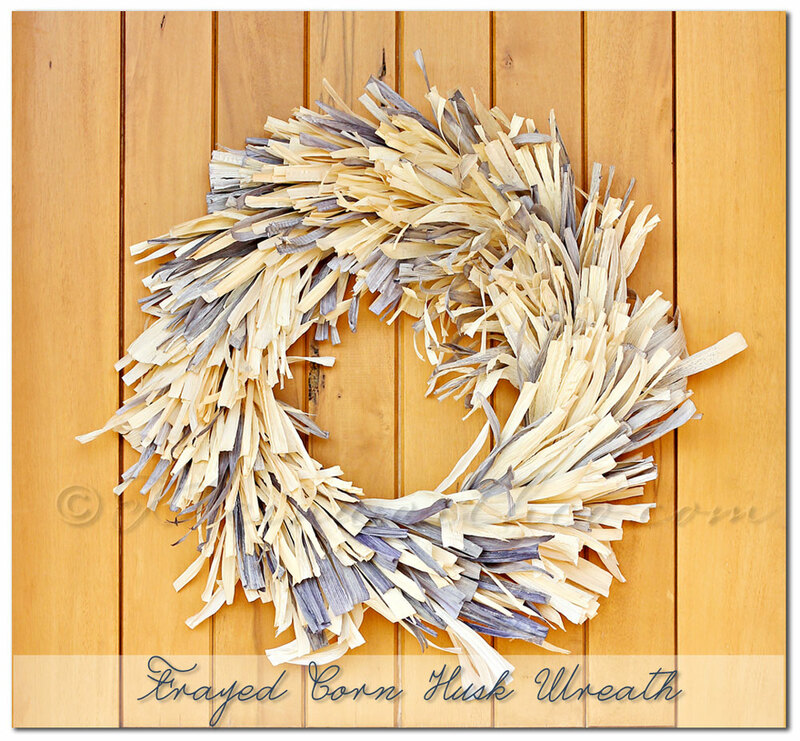 Looking for more great wreath ideas? Yes- I want to join this FREE community for weekly inspiration! This.Is.Gorgeous. I love it, Gina! I also love that you made it quickly and without a glue gun. 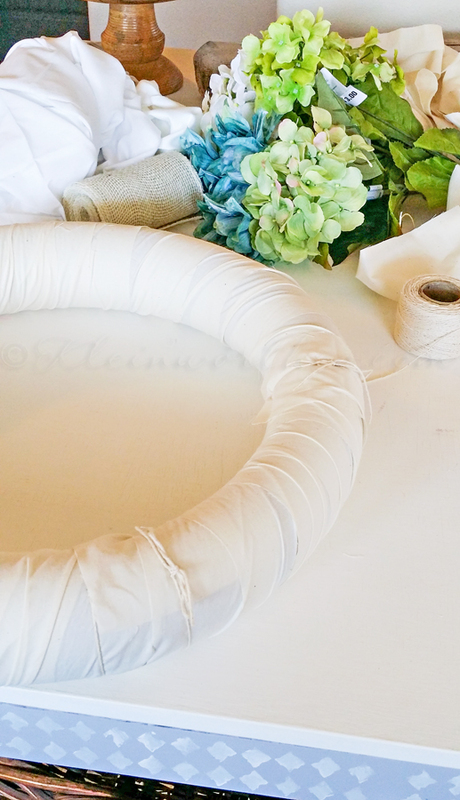 I’m not very crafty and I’ve definitely never tried to make my own wreath. BUT…I’m pinning this and I’m GOING to do it. 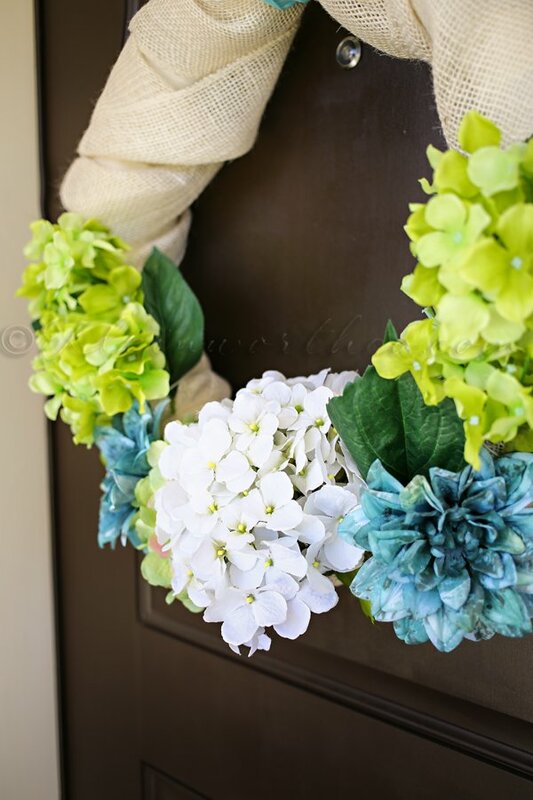 It would be so pretty on my door this summer. 🙂 You are one talented lady! Gina, this is so pretty!! Thanks for sharing it at Inspire Me Mondays! 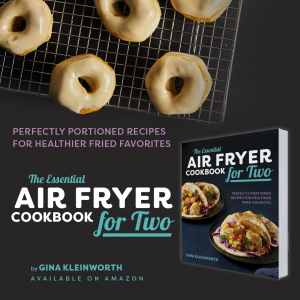 This is so simple and beautiful, Gina! It’s that simple! Please let me know if you’d like to join us and I’ll let you know what dates I have open.